Instrumentation: 2 clarinets, percussion (2 players), 2 violins. Commission note: Commissioned with funds provided by Australia Council. Performing Arts Board. 11 Dec 08: Eugene Goossens Hall, ABC Ultimo Centre, Sydney. 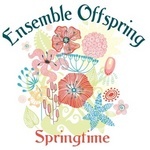 Featuring Ensemble Offspring.